Working in the music industry at major record companies while doing side art projects, Celebrity Hair & Make-up Artist Jen Farhood stumbled into the world of fashion and production and never looked back! Jen travels have taken her on location creating custom make up looks for celebrities worldwide on the red carpet. 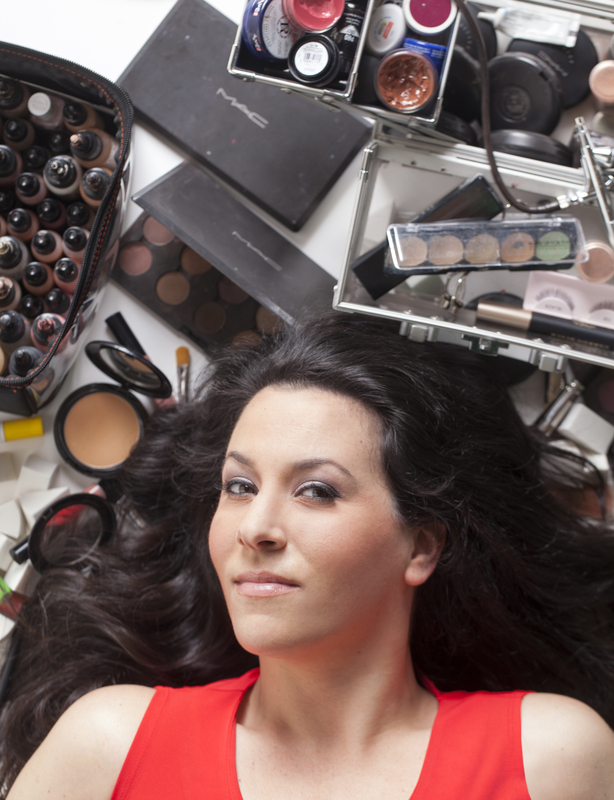 She has provided expert make up tips to magazines like Cosmo, Redbook, and Glamour to name a few. She has worked with Grammy Award winning Musicians, Oscar Award-winning actors, as well as music videos, commercials, runway shows at NY Fashion Week and numerous major network TV shows. She was also the Talent Liaison and Make-up Artist for ‘The Tom Green Show’ for 5 years in Canada before MTV discovered the show and it became a cult phenomenon. Aside from doing traditional Make-up & Hair styling, Jen is Certified and specializes in ‘AIRBRUSH MAKE-UP’. She was featured as a guest on ABC TV’s ‘The View’ for her skilled technique and demonstrated examples of beauty make-up, suntans, and body paint. Airbrush Make-up is extremely efficient and natural looking, and leaves skin looking flawless! Celebrities insist on this luxurious make-up because it is the most sanitary form of make-up application (you’re not re-using product). It’s like an Instagram filter for your face! It’s live action photo re-touching, and it’s only make-up that can be used when filming in HD because it doesn’t translate to camera, lasting for 20 hours with minimal touch-ups! Having received custom project requests in Jen’s other area of expertise (body painting! ), from Cirque Du Soleil, the NFL and Donald Trump’s birthday party, Jen is the market leader specializing in Airbrush Makeup!